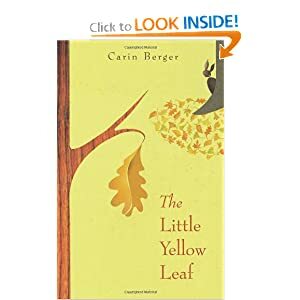 The book we read today is, "The Little Yellow Leaf" by Carin Berger. The illustrations in this book are gorgeous!! After Aubrey and I read this book, she made a leaf collage. I just gathered a bunch of leaves and gave her a piece of paper and some glue. Super easy for me and fun for her! The fall colors have been so beautiful this year...An amazing reminder of the beauty of God's creation! !